A Government grant of £2.8m was given in Dec 2003 towards the £10.8m refurbishment of equipment and the repair of roadways into the closed Ollerton reserves. Further grants totalling £14m scheduled for 2005, with £3.7m for development and face equipment. Optical fibre cables were installed which can carry signals and more information with far less energy loss than a copper cable as with the previous MINOS system. A conveyor belt-jointing station has reduced the time taken to replace the 6 monthly replacement joints on the main conveyor quite considerably. Another innovation by mineworker Tax Kirks was to put the methane and carbon monoxide recording instruments on a drop down pull wire bracket, so that readings can be made, then the instrument hauled back into its monitoring position safely in the roof of the arched road out of any harm from passing vehicles etc. Also during 2004, for the first time a giant ABM20 combined tunneller and roofbolter was moved in one piece instead of in parts to a new development area some 1,000m away, and all done in 72 hours, saving days and days of work, breaking down, transporting, and reassembling the machine. Of course that tells you one thing, the roadways must be of a size to accept it, and in good condition, not like some of the rat-holes of the past that I have experienced, where one had difficulty ‘crawling up a gate’, never mind walking upright! But of course today the mining is high tech, computer controlled and once again run on high bonus rewards for targets achieved, but at what cost? Automatic steering was fitted to the Joy fixed system machine to try to keep the face machine up out of the soft floor and where previously only 8 strips were achieved, building up to 35,000 tonnes with a best of about 90 strips giving an output of 45,000 tonnes from the 67m of retreat equalling over 16 miles of cutting which was achieved in a week during January 2005. Coal preparation can handle 700 tonnes of ROM per hour. Dirt was transported to the waste tip by overhead bucket then later using 35 tonnes dump trucks and spread and layered by scrapers. Grading and restoration of the tips with grassing and tree planting create a screen to the tree-lined entrance road and 2 painted half winding wheels with emblems and colliery name creates an impressive pit lane entrance to the mine. A major furore arose around 1980 when it appeared that surface coal stocks were inaccurate, the thinking being that there was more put to ground than picked up, the error only being detected when the stock was cleared, resulting in tonnage having to be ‘lost’ every week to make up the shortfall. In 1983 a surface borehole was drilled down into the Top Hard workings from a surface site near Conjure Alders (where uniquely the Rivers Idle and Maun meet then after about a hundred yards or so split into their respective rivers again) to release excess methane into the atmosphere. The site was some 6kms from the shafts to 85s Loco Road and the borehole was checked for verticality and drift by a Sperry Sun Gyro instrument and the roadway connection driven to the borehole position underground was spot on. Headings to develop the Deep Soft were driven in 2009. Later a retreat panel in the Deep Soft passed successfully under the drift with a clearance of only 1.5m. As stated previously both shafts were deepened 1946-1950 to 755 yards (690m) and are both 21ft (6.4m) diameter with a new pit bottom at 698 yards (638m). Coal from Top Hard faces was transported by gate and trunk conveyor to a mine car loading point some 3,935 yards (3,600m) inbye from the shafts. Trains of 30 x 3.6 tonnes mine cars hauled to the pit bottom tippler station by 74.6 Kw diesel locos. Manriding inbye and outbye was by loco-hauled cars. Inbye, in-line bunkerage was used to regulate production surges. Manriding and materials to High Hazles workings was by rope haulage. As at the neighbouring collieries Ollerton and Welbeck heatings were experienced at Thoresby. There was a major fire or underground heating on 67s panel on the Top Hard South side that got out of hand which required that area to be sealed off in Mar 1970 which seriously hampered production but was successfully re-opened in July 1970. An old steel lined borehole No20, drilled for oil in the Bothamsall field was reamed out at the seam horizon to remove the steel so that working could pass through it safely. Crude oil was a nuisance on 51s face and gates in 1964, 41s face and gates 1967, 80s and 84s panels 1970-1974. The oil was pumped into 95s Left hand gate. There was a possible goaf connection between Thoresby and Ollerton South side in Top Hard due to both pits working up to common fault. However there is now a direct connection between the two pits at Parkgate level as a large parcel of Parkgate coal was worked from Thoresby. I will always believe that Ollerton was ‘the sacrificial lamb’ and closed so that Thoresby would be able to carry on as the amount of face room available remaining at Thoresby was depleting fast. At one time the workforce voted to shut the colliery but they were refused. 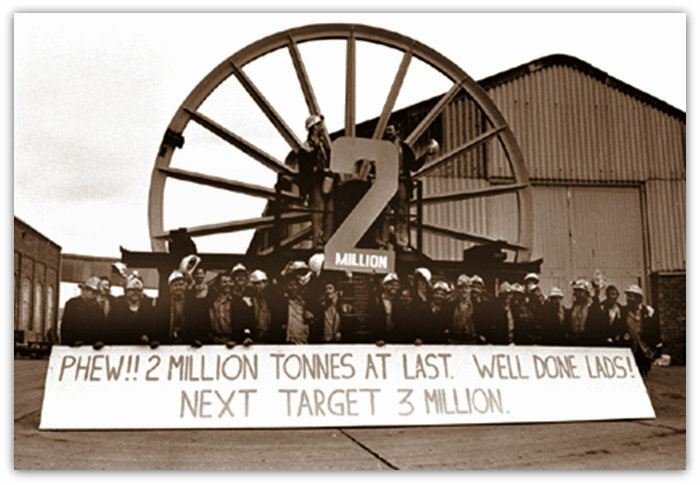 Blue Circle Cement works at Northfleet was receiving 22,000 tonnes of coal from Thoresby each week in the 1980s but cutbacks in construction reduced this figure to 10,000 tonnes a week. There were 5 connections to Welbeck in Top Hard Apr 1st 1955, 2nd 1957, 3rd Nov 1959, 4th Dec 1960 and 5th Aug 1970 and another to Clipstone in May 1949. Also a goaf connection to Clipstone and Clipstone is connected to both Rufford and Mansfield and Mansfield to Sherwood and so on. It is possible that some time in the future water and gas will migrate to or from these collieries. One 1,000 tonnes capacity vertical bunker for coal from the Parkgate was constructed in the pit bottom area in 1977 as at Ollerton and a unique inclined bunker at about 60 for a similar amount of coal constructed in the late 1980s similar to the illustration but delivered onto the run of mine conveyor to skip pockets at the shaft side. In 1980 No2 UC shaft existing DC electric drive winding engine was replaced with a new NEI rationalised Thyristor DC 'D' size drive system and static compensator and using the existing winder PD mechanicals (up-rated automatic skip plant with automatic winding). In 1982 No1 DC shaft existing DC electric winder drive system was replaced with a new NEI rationalised Thyristor DC 'C' size drive system and using the existing winder PD mechanicals and drum shaft coupling (existing decking plant with manual winding). A surface methane extraction plant was operational in 1985. New colliery offices were built on the site of the old Rexco plant. This plant, one of 3 in the Area was used to manufacture smokeless fuel and by-products, the Top Hard seam being particularly good for same but the Parkgate seam quality was unacceptable so the plant was closed. The European record for cutting 4,155m (2.58 miles) in a shift on 122s Parkgate face in November 1992. The AM17 ranging drum shearer cut 15 strips on a Sunday night shift 15/11/1992 producing 6,160 tonnes. On Sunday 6/12/1992 a further record was achieved on 122s with 20.15 strips, with 5,340m cut (3.32 miles) and 8,064 tonnes at a face o.m.s. of 365.71 tonnes. Two new drivages from Thoresby Parkgate workings were driven towards the old abandoned north side Parkgate workings at Ollerton in order to mine the 12m tonnes of reserves. The headings were stopped short of thirling in the period when RJB Mining owned the colliery, however under UK Coal the headings successfully connected to the old Ollerton roadways after a major degassing and stopping off of old roadways exercise was completed and the first 328 yards (300m) long face in this area began in September 2003 using a Joy 4LS shearer. This was 42s retreat face that had been started at Ollerton and had only retreated around 100m and produced 50,000 tonnes of coal in a week when the shock decision was made to close Ollerton in Feb 1994. 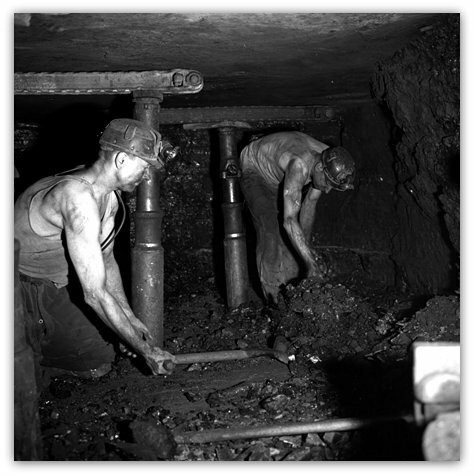 Many conveyor belts were necessary to transport coal and dirt to the shaft and manriding and walking to work still took a long time and of course the reverse at the end of the shift. However going outbye was quicker as several coal carrying conveyors were used for manriding also. Similarly of course the time taken for the transportation of materials inbye increased as the distance to the working districts got further away. 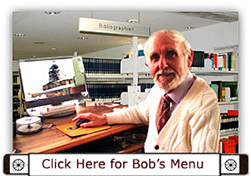 Mine operating systems (MINOS) is in use. The later faces were equipped with 2 x 510 tonnes powered supports. The first hydraulic chocks were Gullick 5 leg, then Dowty 6 leg and then safety and roof control was vastly improved by installing chock-shields with lemniscate linkage as trialled at Ollerton preventing roof flushing from the waste into the chock track plus face sprags to prevent face coals falling. Heavier armoured face conveyor pans and larger diameter haulage chains allowed a larger load to be carried. Trials were also carried out using wire mesh along the face line rolled out at the back of the shearer and then pinned by the chocks as they moved over to prevent roof falls. 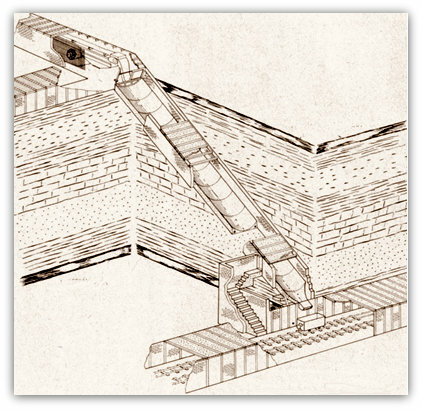 The Parkgate seam was troubled by soft dirt in the floor in some areas requiring thicker roof coal to be left according to the height of the chocks when fully expanded. This of course reduce the vend, i.e. the ratio of coal to dirt produced and subsequently the amount of saleable coal produced in the year reduced in quantity. Roof bolting was introduced in 100sA Supply gate using a Wombat machine. The pit produced 8,015 tonnes a day average from a Parkgate face in 2002/2003. The 6ft 6in (2m) thick seam was developed during 1976-1977. 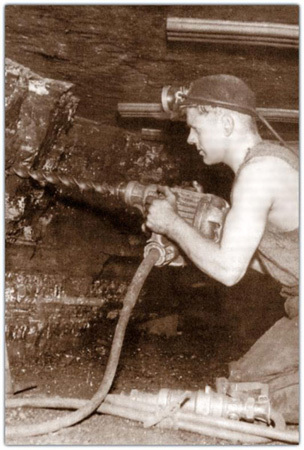 The pit has been one of the first in the country to produce more than 1 million tons of coal in a year on a regular basis since 1951 and has produced around 3million tonnes of run of mine (imperial measurements and quantities were replaced by metric values in 1976). The automated shaft winding has certainly improved winding time. The 1972 and 1974 NUM strikes affected the colliery, as at all other pits, but the 1984 strike called by Arthur Scargill over pit closures only affected the colliery slightly as is seen by the output for that period when all pits in Nottinghamshire continued to work because the men were refused a democratic vote whether to strike or not. Of course the colliery was heavily picketed mainly by flying pickets from Yorkshire and clashes with local men and police were inevitable. Some men remained in the NUM (National Union of Mineworkers) after the UDM (Union of Democratic Miners) was formed at the end of 1984. Lots of face records and gate advances were broken over the years culminating in the statement in the colliery newspaper the 'Thoresby Telegraph' that in June 1989 the colliery had produced 2.3 million tonnes of coal in the year 1988/1989 making a profit of £34.8m at a cost of £1 per gigajoule. This output was beaten by an astounding 2.47 million tonnes maximum in 1990/1991.